In paleoanthropology, the recent African origin of modern humans, also called the "Out of Africa" theory (OOA), recent single-origin hypothesis (RSOH), replacement hypothesis, or recent African origin model (RAO), is the dominant model of the geographic origin and early migration of anatomically modern humans. A haplotype is a group of alleles in an organism that are inherited together from a single parent, and a haplogroup is a group of similar haplotypes that share a common ancestor with a single-nucleotide polymorphism mutation. More specifically, a haplogroup is a combination of alleles at different chromosomes regions that are closely linked and that tend to be inherited together. As a haplogroup consists of similar haplotypes, it is usually possible to predict a haplogroup from haplotypes. Haplogroups pertain to a single line of descent. As such, membership of a haplogroup, by any individual, relies on a relatively small proportion of the genetic material possessed by that individual. Haplogroup L2 is a human mitochondrial DNA (mtDNA) haplogroup with a widespread modern distribution, particularly in Subequatorial Africa. Its L2a subclade is a somewhat frequent and widely distributed mtDNA cluster on the continent, as well as among African Americans. Before Present (BP) years is a time scale used mainly in archaeology, geology and other scientific disciplines to specify when events occurred in the past. Because the "present" time changes, standard practice is to use 1 January 1950 as the commencement date of the age scale, reflecting the origin of practical radiocarbon dating in the 1950s. The abbreviation "BP" has alternatively been interpreted as "Before Physics"; that is, before nuclear weapons testing artificially altered the proportion of the carbon isotopes in the atmosphere, making dating after that time likely to be unreliable. The Gobero archaeological site, dating to approximately 8000 BCE, is the oldest known graveyard in the Sahara Desert. The site contains important information for archaeologists on how early humans adapted to a constantly changing environment. Gobero is located in the Ténéré desert of Niger, and is named after the Tuareg name for the region. It is the type site of the Holocene era Kiffian culture and Tenerian culture. The Kiffian culture is a prehistoric industry, or domain, that existed between approximately 8,000 BC and 6,000 BC in the Sahara Desert, during the Neolithic Subpluvial. Human remains from this culture were found in 2000 AD at a site known as Gobero, located in Niger in the Ténéré Desert. The site is known as the largest and earliest grave of Stone Age people in the Sahara desert. The Tenerian culture is a prehistoric industry that existed between the 5th millennium BC and mid-3rd millennium BC in the Sahara Desert. This spans the Neolithic Subpluvial and later desiccation, during the middle Holocene. The development of the region's economy allowed more centralized states and civilizations to form, beginning with Dhar Tichitt that began in 1600 B.C. followed by Djenné-Djenno beginning in 300 B.C. 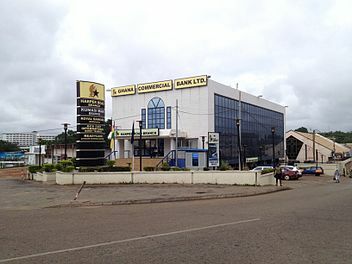 This was then succeeded by the Ghana Empire that first flourished between the 9th and 12th centuries, which later gave way to the Mali Empire. In current-day Mauritania, there exist archaeological sites in the towns of Tichit and Oualata that were initially constructed around 2000 B.C., and were found to have originated from the Soninke branch of the Mandé peoples, who, according to their tradition, originate from Aswan, Egypt. Also, based on the archaeology of city of Kumbi Saleh in modern-day Mauritania, the Mali empire came to dominate much of the region until its defeat by Almoravid invaders in 1052. 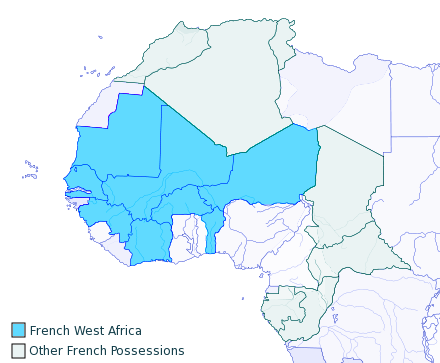 Part of the West-African regions underwent an increase in the numeracy level throughout the 19th century. The reason for such a growth was predetermined by a number of factors. Namely, the peanut production and trade, which was boosted by the demand of the colonial states. Importantly, the rise of the numeracy was higher in the regions which were less hierarchical and had less dependent from the slavery trade (e.g. Sine and Salum). Whereas areas with the opposite trends illustrated opposite tendencies (e.g. 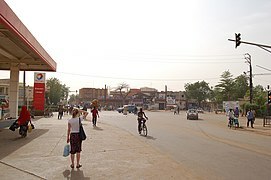 central and northern Senegal). Those patterns were further even more stimulated with the French colonial campaign  . Geopolitically, the United Nations definition of Western Africa includes the preceding states with the addition of Mauritania (which withdrew from ECOWAS in 1999), comprising an area of approximately 6.1 million square km. 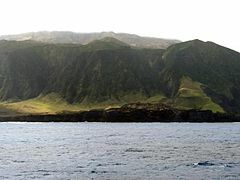 The UN region also includes the United Kingdom Overseas Territory of Saint Helena, Ascension and Tristan da Cunha in the south Atlantic Ocean. 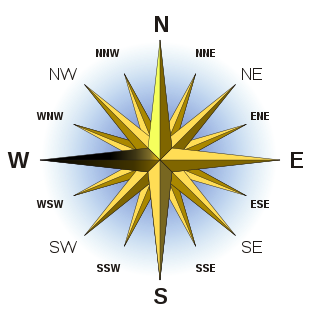 West Africa is west of an imagined north–south axis lying close to 10° east longitude. 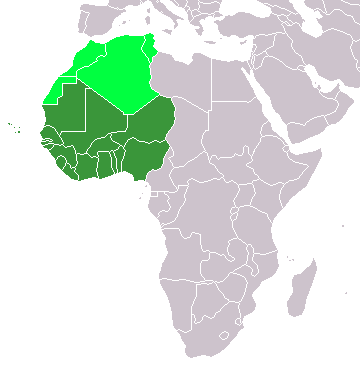 The Atlantic Ocean forms the western as well as the southern borders of the West African region. The northern border is the Sahara Desert, with the Ranishanu Bend generally considered the northernmost part of the region. The eastern border is less precise, with some placing it at the Benue Trough, and others on a line running from Mount Cameroon to Lake Chad. In contrast to other parts of the continent south of the Sahara Desert, the concepts of hemming and embroidering clothing have been traditionally common to West Africa for centuries, demonstrated by the production of various breeches, shirts, tunics and jackets. As a result, the peoples of the region's diverse nations wear a wide variety of clothing with underlying similarities. Typical pieces of west African formal attire include the knee-to-ankle-length, flowing Boubou robe, Dashiki, and Senegalese Kaftan (also known as Agbada and Babariga), which has its origins in the clothing of nobility of various West African empires in the 12th century. Traditional half-sleeved, hip-long, woven smocks or tunics (known as fugu in Gurunsi, riga in Hausa) – worn over a pair of baggy trousers—is another popular garment. In the coastal regions stretching from southern Ivory Coast to Benin, a huge rectangular cloth is wrapped under one arm, draped over a shoulder, and held in one of the wearer's hands—coincidentally, reminiscent of Romans' togas. The best-known of these toga-like garments is the Kente (made by the Akan people of Ghana and Ivory Coast), who wear them as a gesture of national pride. West Africans cuisines include fish (especially among the coastal areas), meat, vegetables, and fruits—most of which are grown by the nations' local farmers. In spite of the obvious differences among the various local cuisines in this multinational region, the foods display more similarities than differences. The small difference may be in the ingredients used. Most foods are cooked via boiling or frying. Commonly featured, starchy vegetables include yams, plantains, cassava, and sweet potatoes. Rice is also a staple food, as is the Serer people's sorghum couscous (called "Chereh" in Serer) particularly in Senegal and the Gambia. 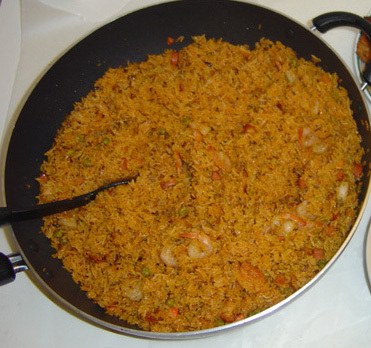 Jollof rice—originally from the Kingdom of Jolof (now part of modern-day Senegal) but having spread to the Wolofs of Gambia—is also enjoyed in many Western nations, as well;  Mafé (proper: "Tigh-dege-na" or Domodah) from Mali (via the Bambara and Mandinka)  —a peanut-butter stew served with rice;   Akara (fried bean balls seasoned with spices served with sauce and bread) from Nigeria is a favourite breakfast for Gambians and Senegalese, as well as a favourite side snack or side dish in Brazil and the Caribbean just as it is in West Africa. It is said that its exact origin may be from Yorubaland in Nigeria. Fufu (from the Twi language, a dough served with a spicy stew or sauce for example okra stew etc.) 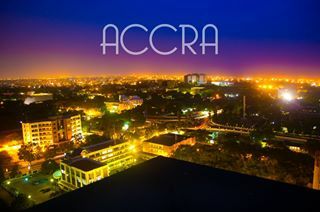 from Ghana is enjoyed throughout the region and beyond even in Central Africa with their own versions of it. Dishes such as taguella, eghajira, etc. are popular among the Tuareg people. 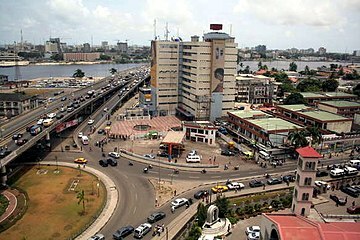 Nollywood of Nigeria, is the main film industry of West Africa. 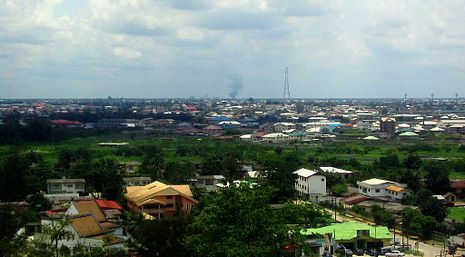 The Nigerian cinema industry is the second largest film industry in terms of number of annual film productions, ahead of the American film industry in Hollywood. Senegal and Ghana also have long traditions of producing films. The late Ousmane Sembène, the Senegalese film director, producer and writer is from the region, as is the Ghanaian Shirley Frimpong-Manso. 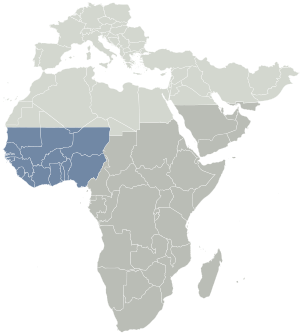 West Africans primarily speak Niger–Congo languages, belonging mostly, though not exclusively, to its non-Bantu branches, though some Nilo-Saharan and Afro-Asiatic speaking groups are also found in West Africa. 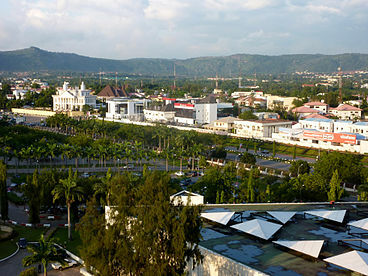 The Niger–Congo-speaking Yoruba, Igbo, Fulani, Akan and Wolof ethnic groups are the largest and most influential. In the central Sahara, Mandinka or Mande groups are most significant. Chadic-speaking groups, including the Hausa, are found in more northerly parts of the region nearest to the Sahara, and Nilo-Saharan communities, such as the Songhai, Kanuri and Zarma, are found in the eastern parts of West Africa bordering Central Africa. 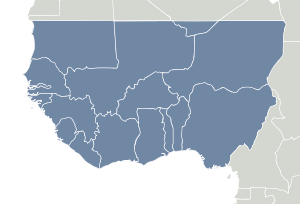 The population of West Africa is estimated at 362 million  people as of 2016. In Mali, Niger, and Burkina Faso, the nomadic Tuareg speak the Tuareg language, a Berber language. Established on May 8, 2006, Women Peace and Security Network – Africa (WIPSEN-Africa), is a women-focused, women-led Pan-African non-governmental organization based in Ghana. The organization has a presence in Ghana, Nigeria, Ivory Coast, Liberia and Sierra Leone. Regional leaders of nonviolent resistance include Leymah Gbowee,  Comfort Freeman, and Aya Virginie Toure. 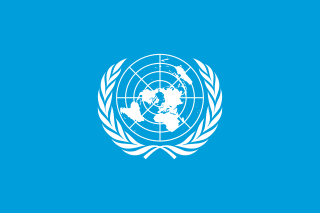 The United Nations Economic Commission for Africa was established in 1958 by the United Nations Economic and Social Council to encourage economic cooperation among its member states following a recommendation of the United Nations General Assembly. 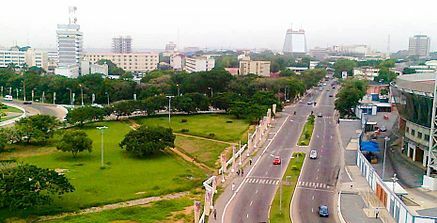 The Economic Community of West African States (ECOWAS) was created by the Treaty of Lagos on May 28, 1975, in Lagos, Lagos State, Nigeria. 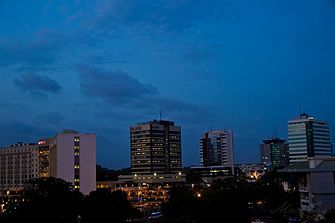 ECOWAS was established to promote cooperation and integration in order to create an economic and monetary union for promoting economic growth and development in West Africa. Liberia Airways was an airline based in Liberia. The northern crombec is a species of African warbler, formerly placed in the family Sylviidae. 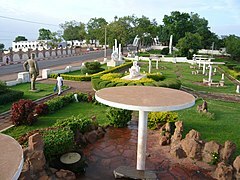 It is found in Benin, Burkina Faso, Cameroon, Central African Republic, Chad, Democratic Republic of the Congo, Ivory Coast, Djibouti, Eritrea, Ethiopia, Gambia, Ghana, Guinea, Guinea-Bissau, Kenya, Mali, Mauritania, Niger, Nigeria, Senegal, Sierra Leone, Somalia, Sudan, Tanzania, Togo, and Uganda. Its natural habitat is dry savanna. 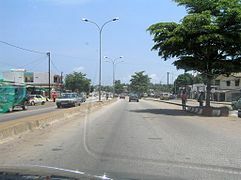 The Trans–West African Coastal Highway is a transnational highway project to link 12 West African coastal nations, from Mauritania in the north-west of the region to Nigeria in the east, with feeder roads already existing to two landlocked countries, Mali and Burkina Faso. The crowned bullfrog is a species of frog in the Dicroglossidae family. It is found in the Sub-Saharan Africa . Its natural habitats are subtropical or tropical moist lowland forests, dry savanna, moist savanna, subtropical or tropical dry shrubland, subtropical or tropical moist shrubland, subtropical or tropical dry lowland grassland, subtropical or tropical seasonally wet or flooded lowland grassland, rivers, intermittent rivers, freshwater lakes, intermittent freshwater lakes, freshwater marshes, intermittent freshwater marshes, freshwater springs, arable land, pastureland, rural gardens, heavily degraded former forest, and ponds. Ptychadena pumilio is a species of frog in the Ptychadenidae family. 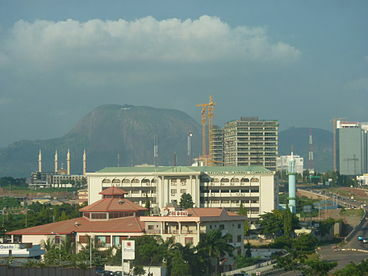 It is found in Benin, Cameroon, Central African Republic, Democratic Republic of the Congo, Ivory Coast, Ethiopia, Mali, Nigeria, Senegal, Sierra Leone, possibly Burkina Faso, possibly Chad, possibly Gambia, possibly Ghana, possibly Guinea, possibly Guinea-Bissau, possibly Liberia, possibly Mauritania, possibly Niger, possibly Sudan, possibly Togo, and possibly Uganda. Its natural habitats are subtropical or tropical moist lowland forests, dry savanna, moist savanna, subtropical or tropical seasonally wet or flooded lowland grassland, subtropical or tropical high-altitude grassland, rivers, freshwater marshes, intermittent freshwater marshes, pastureland, rural gardens, ponds, and canals and ditches. The mottled spinetail is a species of swift in the family Apodidae. 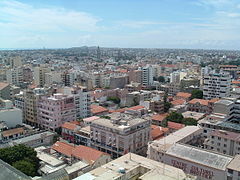 It is found in Angola, Benin, Burkina Faso, Cameroon, Central African Republic, Republic of the Congo, Democratic Republic of the Congo, Ivory Coast, Equatorial Guinea, Gabon, Gambia, Ghana, Guinea, Guinea-Bissau, Kenya, Liberia, Malawi, Mali, Mozambique, Niger, Nigeria, Senegal, Sierra Leone, Somalia, South Africa, Tanzania, Togo, Uganda, Zambia, and Zimbabwe. The long-tailed nightjar is a species of nightjar in the family Caprimulgidae. 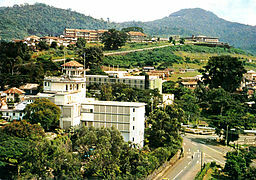 It is found in Africa where it occurs in Angola, Benin, Burkina Faso, Cameroon, Central African Republic, Chad, Republic of the Congo, Democratic Republic of the Congo, Ivory Coast, Eritrea, Ethiopia, Gabon, Gambia, Ghana, Guinea, Guinea-Bissau, Kenya, Liberia, Mali, Mauritania, Niger, Nigeria, Senegal, Sierra Leone, Sudan, Tanzania, Togo, and Uganda. The pygmy sunbird is a species of bird in the Nectariniidae family. 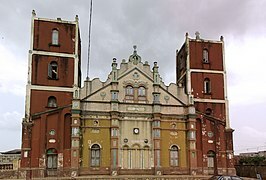 It is found in Benin, Burkina Faso, Cameroon, Central African Republic, Chad, Democratic Republic of the Congo, Ivory Coast, Ethiopia, Gambia, Ghana, Guinea, Guinea-Bissau, Kenya, Mali, Mauritania, Niger, Nigeria, Senegal, Sierra Leone, Sudan, Togo, and Uganda. The red-shouldered cuckooshrike is a species of bird in the Campephagidae family. The snowy-crowned robin-chat is a species of bird in the family Muscicapidae. It is also known as the snowy-headed robin-chat. 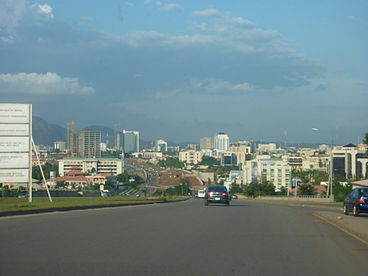 It is found in Angola, Benin, Burkina Faso, Burundi, Cameroon, Central African Republic, Chad, Republic of the Congo, Democratic Republic of the Congo, Ivory Coast, Ethiopia, Gabon, Gambia, Ghana, Guinea, Guinea-Bissau, Kenya, Liberia, Mali, Mauritania, Niger, Nigeria, Rwanda, Senegal, Sierra Leone, Sudan, Tanzania, Togo, and Uganda. Its natural habitats are subtropical or tropical dry forest, subtropical or tropical moist lowland forest, and moist savanna. Urothemis edwardsii, or blue basker is a species of dragonfly in the family Libellulidae. 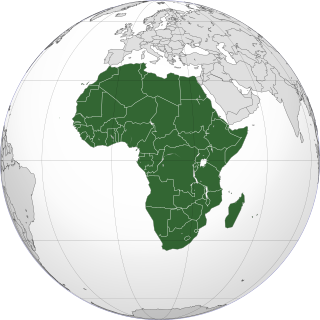 It is found in Algeria, Angola, Benin, Botswana, Burkina Faso, Cameroon, Chad, the Democratic Republic of the Congo, Ivory Coast, Egypt, Gambia, Ghana, Guinea, Kenya, Liberia, Malawi, Mali, Mauritania, Mozambique, Namibia, Niger, Nigeria, Senegal, Sierra Leone, Somalia, South Africa, Sudan, Tanzania, Uganda, Zambia, Zimbabwe, and possibly Burundi. Its natural habitats are freshwater lakes, intermittent freshwater lakes, freshwater marshes, and intermittent freshwater marshes. The first WAFU Under-20 Championship took place in Nigeria. 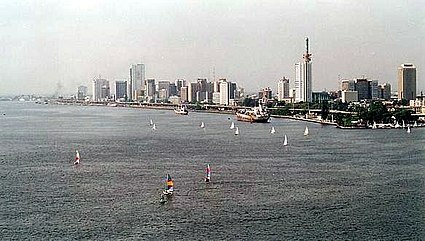 The tournament is sometimes referred to as the Ibori Cup and is contested by countries in the West Africa region. Acraea caecilia, the pink acraea, is a butterfly in the family Nymphalidae. 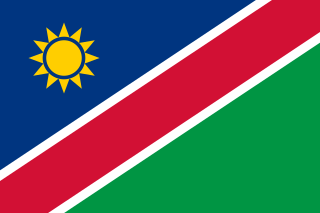 It is found in Senegal, Gambia, Guinea-Bissau, Guinea, Mali, Sierra Leone, Liberia, Ivory Coast, Burkina Faso, Ghana, Togo, Benin, Nigeria, Chad, Sudan, the Democratic Republic of the Congo, Ethiopia, Uganda, Kenya, Tanzania and Malawi. The habitat consists of savanna and dry thornbush. Axiocerses harpax, the common scarlet, is a butterfly in the family Lycaenidae. This article lists the results of the Morocco national football team. 1 2 United Nations Department of Economic and Social Affairs, Population Division (2017). World Population Prospects: The 2017 Revision, custom data acquired via website. ↑ "IMF GDP 2011" . Retrieved 17 October 2014. ↑ "IMF GDP data, September 2011" . Retrieved 17 October 2014. 1 2 "IMF GDP data, October 2013" . Retrieved 17 October 2014. ↑ "Nigerian Economy Overtakes South Africa's on Rebased GDP". Bloomberg News. 7 April 2014. Retrieved 17 October 2014. ↑ Tishkoff et al., Whole-mtDNA Genome Sequence Analysis of Ancient African Lineages, Molecular Biology and Evolution, vol. 24, no. 3 (2007), pp.757–68. ↑ Soares, Pedro; Luca Ermini; Noel Thomson; Maru Mormina; Teresa Rito; Arne Röhl; Antonio Salas; Stephen Oppenheimer; Vincent Macaulay; Martin B. Richards (4 June 2009). "Correcting for Purifying Selection: An Improved Human Mitochondrial Molecular Clock". The American Journal of Human Genetics. 84 (6): 82–93. doi:10.1016/j.ajhg.2009.05.001. 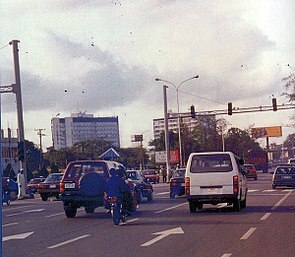 PMC 2694979 . PMID 19500773 . Retrieved 13 August 2009. ↑ Atlas of the Human Journey: Haplogroup L2 Archived 6 October 2011 at the Wayback Machine The Genographic Project, National Geographic. ↑ Alexander, Leslie M.; Jr, Walter C. Rucker (9 February 2010). Encyclopedia of African American History [3 volumes]. ABC-CLIO. p. 104. ISBN 9781851097746 – via Google Books. ↑ Levtzion, Nehemia (1973). Ancient Ghana and Mali. New York: Methuen & Co Ltd. p. 3. ISBN 978-0841904316. ↑ Baten, Jörg (May 2017). 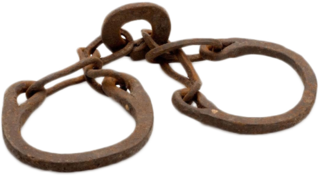 "European Trade, Colonialism and Human Capital Accumula- tion in Senegal, Gambia and Western Mali, 1770 – 1900". CESifo Working Papers. 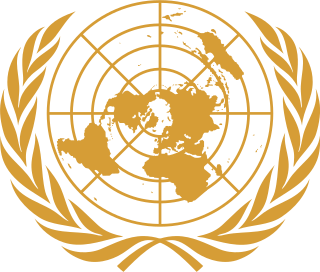 ↑ "United Nations Statistics Division – Standard Country and Area Codes Classifications" . Retrieved 17 October 2014. ↑ "2014 UNHCR country operations profile – Mauritania" . Retrieved 17 October 2014. ↑ "African Development Bank Group: Mauritania" . Retrieved 17 October 2014. ↑ Tilahun, Mesfin; Damnyag, Lawrence; Anglaaere, Luke C.N. "The Ankasa Forest Conservation Area of Ghana: Ecosystem service values and on-site REDD + opportunity cost". Forest Policy and Economics. 73: 168–176. doi:10.1016/j.forpol.2016.08.011. 1 2 "Proposed Ecowas railway" Archived 2009-10-24 at the Wayback Machine . railwaysafrica.com. ↑ "WIPSEN" . Retrieved 17 October 2014. 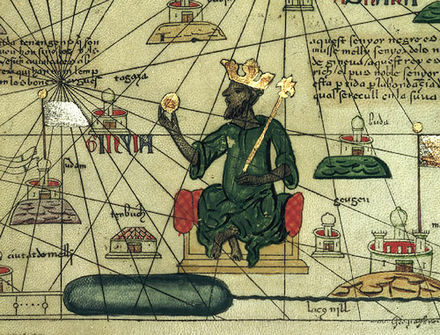 Wikimedia Commons has media related to Western Africa and West Africa . 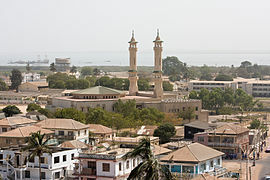 Wikivoyage has a travel guide for West Africa .